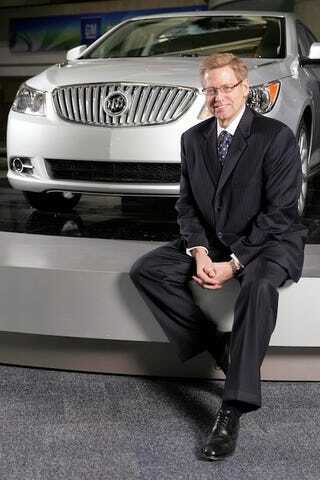 GM today confirmed Buick GMC General Manager Michael D. Richards has quit after just nine days on the job. Although no news on who'll replace him, sources have forwarded us exclusively the following personal farewell e-mail from CEO Ed Whitacre. Of course, Ed Whitacre becoming CEO the next day may have had something to do with Richards leaving. Luckily, we've received a copy of the preternaturally-internet-precious GM CEO's farewell e-mail to Michael Richard below. Sorry to hear you quit after only nine days running Buick and GMC! I hope it wasn't anything I said. :-( We really appreciate your hard work over the whole nine days as you've accomplished SOOOOO much. ;-) We wish you the best of luck with your Seinfeld reunion on the Larry David Show. JK! LOL! I hope we can stay friends on Facebook. Remember to IM me sometime — my AIM SN is "CrazyEdAtGM."